Few roads in Oregon showcase the state's incredible geography better than U.S. Route 26, better known around these parts as Highway 26. Its western terminus starts just inland from the Pacific Ocean, where it intersects with the dramatic Highway 101; from there it continues through the wooded Oregon Coast Range, the pastoral Willamette Valley, urban and suburban Portland, the breathtaking Mount Hood National Forest, central Oregon's high desert, and eastern Oregon's fossil beds before veering into Idaho and eventually ending in Nebraska. Over the course of its nearly 470 miles in Oregon, Highway 26 offers a breadth of natural treasures for adventurers of all stripes. Hiking at the coast, cycling through the Willamette Valley, and cross-country skiing in the shadow of Mount Hood are just some of the myriad outdoor pleasures to be found on—or in the vicinity of—Highway 26. And with that, we bring you an adventurer's guide to Highway 26 in Oregon, highlighting 10 of our favorites, along with some additional adventures and worthwhile pit stops that make each even more fun. Why We Love It: Sure, Neahkahnie Mountain sits nearly 15 miles south of the Highway 26/Highway 101 intersection, but it's worth the trek. 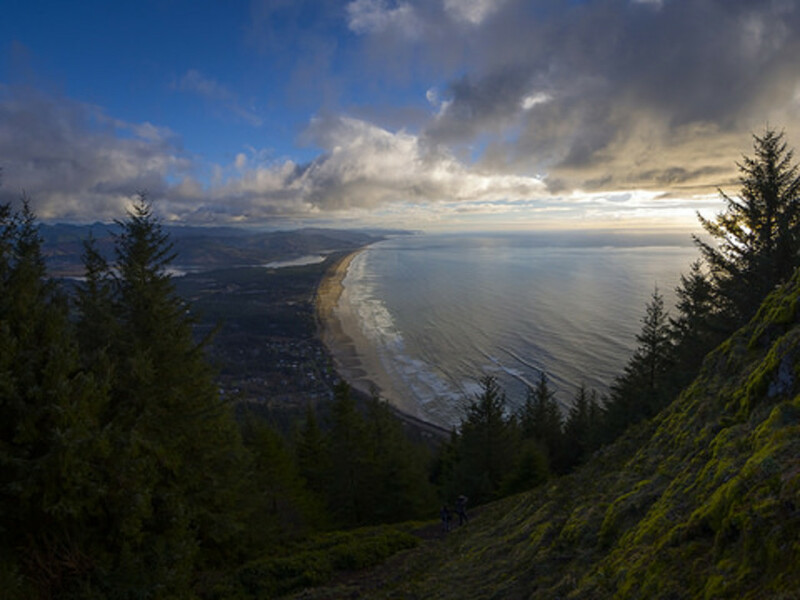 The scenic jaunt affords hikers nearly uninhibited views of the Pacific Ocean and the nearby town of Manzanita, and two trailheads take hikers to the summit. The northernmost one presents a moderately steep ascent through expansive meadows and dense forests, while the southernmost trailhead promises a shorter ascent for the same breathtaking payoff. Don't Miss: Check out the rest of Oswald West State Park. The park, which roughly surrounds Neahkahnie Mountain, hosts roughly 15 miles of hiking trails through a lush Oregon Coast rain forest, beach access, some of the best surfing on the northern Oregon Coast, and no shortage of astonishing ocean views. 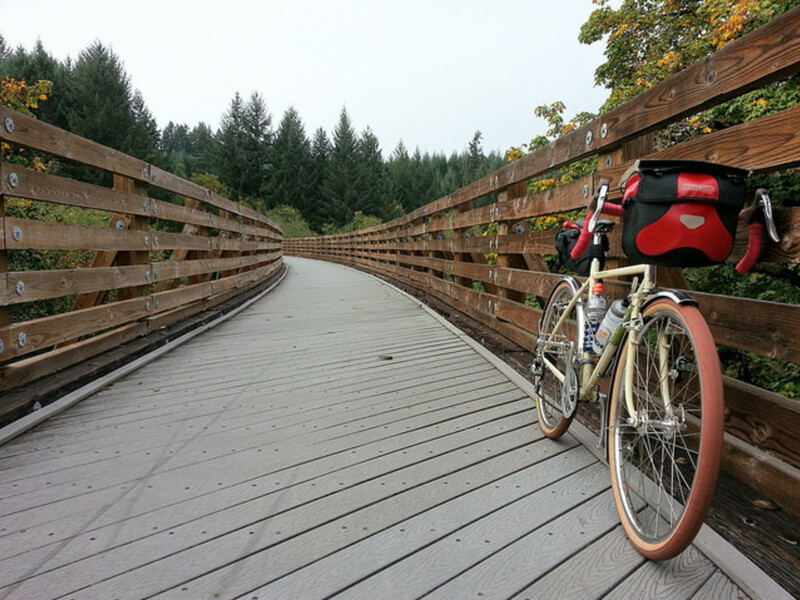 _ Why We Love It: _A paved, gentle grade, coupled with old railroad trestles, dense forests, and scenic farms, make the Banks-Vernonia State Trail popular with cyclists. Six trailheads line the route, allowing cyclists to craft a ride that suits their abilities and energy levels, and a photo-worthy pair of 700-foot-long, 80-foot-high trestles add to the scenery. _ Don't Miss: _Whether it's your turnaround point or a bookend to the trip, take time to enjoy the town of Vernonia (which, sitting between Highways 26 and 30 en route to the coast, is often overlooked). The small town, once a pioneer settlement and bustling logging hub, today caters to cyclists who enjoy the numerous trails in the area. Quaint pubs, coffee shops, and restaurants provide nourishment and sustenance for weary cyclists, and a variety of independently owned shops adds to the small-town charm. 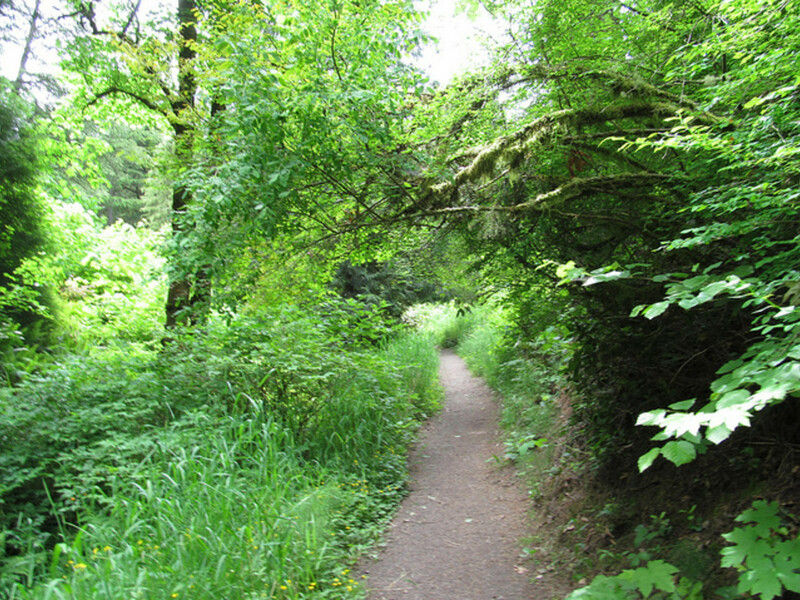 _ Why We Love It: _Just a stone's throw from Highway 26, Hoyt Arboretum is a trail runner's dream. Twelve miles of trail cut through more than 1,000 species of trees, creating some of the most scenic trail running in the Portland area. Most of the trails are moderately graded for novice and casual runners, and the current fall foliage makes Hoyt Arboretum an even more attractive destination. _ Don't Miss: _Up for a daylong adventure? Wrap up your run with a jaunt on the 4T Trail. The four T's stand for trail, tram, trolley (Portland Streetcar), and train (TriMet MAX), and the loop works its way through nearby Washington Park (the park's MAX station is .3 miles from the Hoyt Arboretum's visitor center). Take breaks with beer, coffee, or delicious food in downtown Portland or the South Waterfront neighborhood, both of which are on the 4T Trail route. 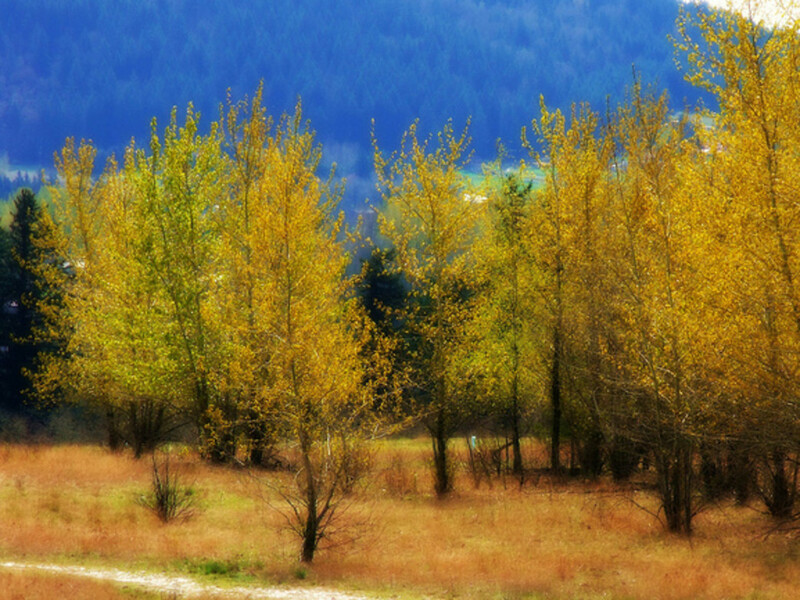 _ Why We Love It: _Powell Butte Nature Area is a beautiful hike or mountain bike ride at any time of the year, but the bonus of fall foliage makes it a must-do attraction every autumn. Several trails crisscross the 600-acre park, taking visitors through meadows and forests alike, all while unveiling ever-better views of Mount Hood and Mount St. Helens. _ Don't Miss: _Reward yourself with post-hike pub grub and beer at the Highland Pub & Brewery, an east Portland outpost of the McMenamins Pacific Northwest empire. If you've been to any of the chain's other pubs, you know what to expect: psychedelic art, copious Cajun tots, and a variety of palate-pleasing beers. It's only a mile from Powell Butte and is one of the closest, most accessible pubs in the vicinity. 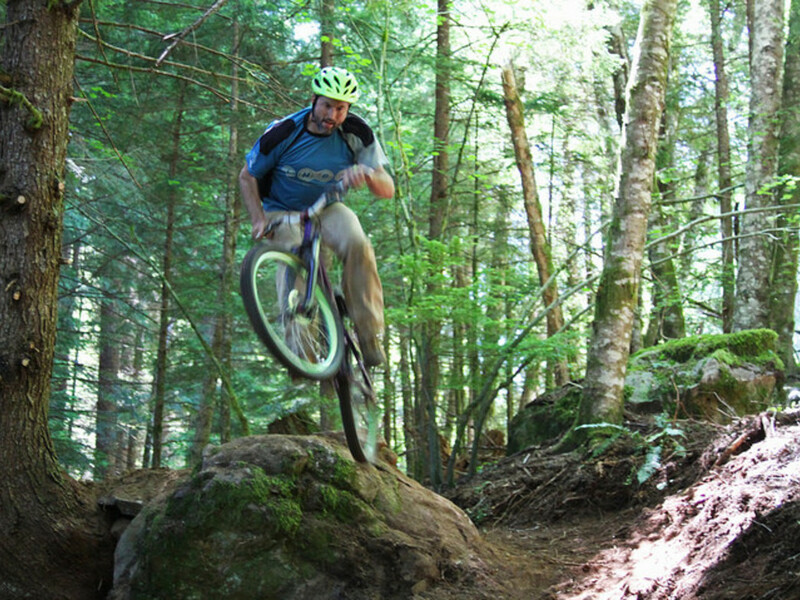 _ Why We Love It: _Riders of all experience levels can enjoy the 15 miles of fantastic single track trails on Sandy Ridge. A variety of grades cater to newer and more experienced riders alike, and the views of the surrounding Mount Hood Valley make it one of the best mountain bike trails in the region. _ Don't Miss: _Joe's Donuts is an impossible-to-miss eatery along Highway 26 in Sandy and has become a favorite among outdoor enthusiasts on their way to (or home from) Mount Hood. If the throngs of people waiting outside isn't evidence enough of its amazingness, the building's red-and-white brick facade should entice curious diners looking for a snack on the way through town. Joe's is always in the conversation for "best doughnut shop in Oregon," and the fact that it's in the middle of small-town Sandy only adds to its charm. 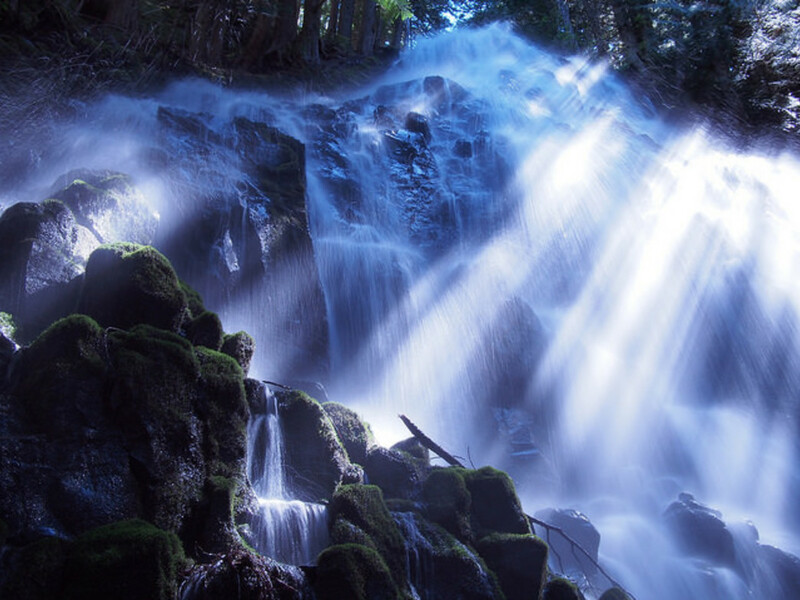 _ Don't Miss: _Given Ramona Falls' relatively short distance and lack of elevation gain, add to your day trip with a drive through the Hood River County Fruit Loop, which is nearing the end of its growing season but still worth a stop. Farm stands, wineries, and berry farms line the 35-mile loop in the Hood River Valley and sell a variety of foods and beverages harvested and cultivated in the region. Time your visit right, and you might catch one of the many fall festivals happening through early November. _ Why We Love It: _ The Burnt Lake trail takes hikers and backpackers through ornate forests, past a few creeks, and to the edges of breathtaking canyons—all without a challenging elevation gain. Mount Hood comes into full view at the lake, and hikers looking for an additional challenge can continue to the summit of East Zigzag Mountain for panoramic views that go unrivaled in the in the Mount Hood National Forest. 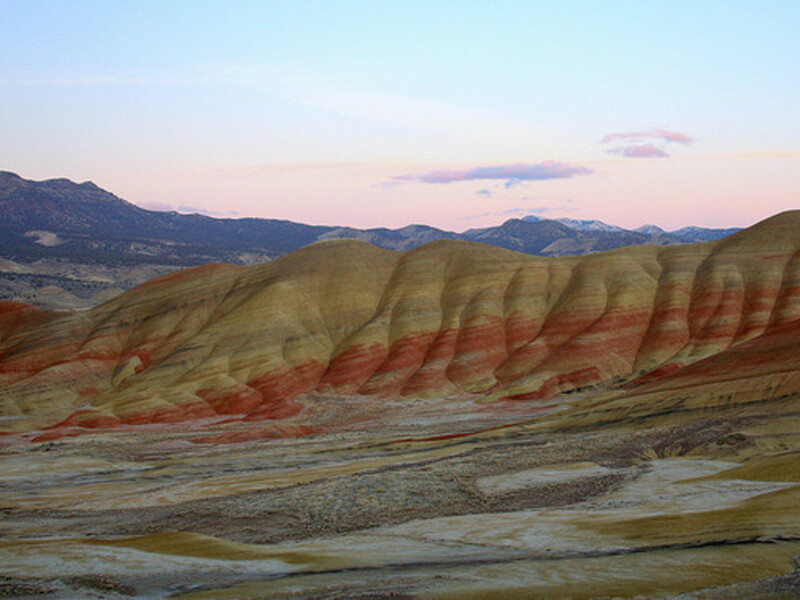 _ Don't Miss: _Keep heading east on Highway 26, and make a quick stop at the Mt. Hood Cultural Center and Museum in Government Camp. 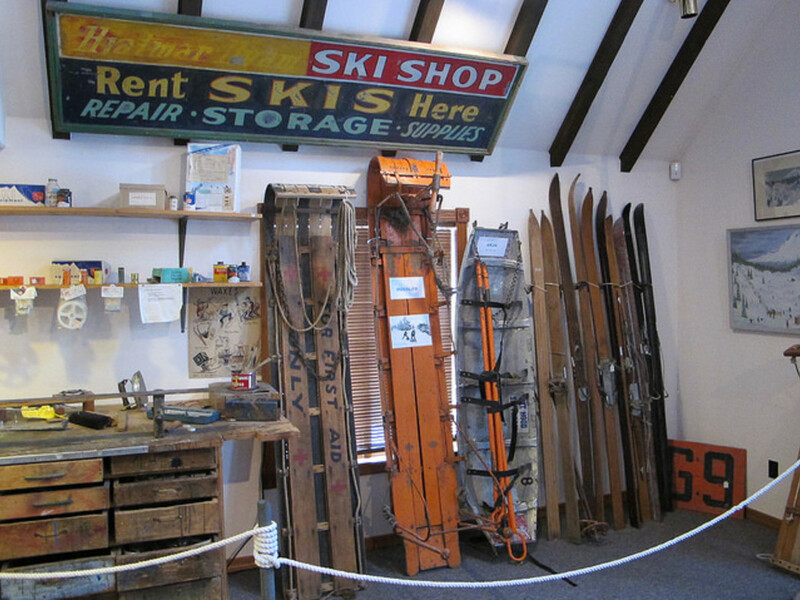 The small museum, in addition to views of the mountain for which it's named, offers a crash course in regional history with exhibits on the evolution of skiing on Mount Hood, pioneers and early European explorers, and the U.S. Forest Service. _ Why We Love It: _ Sure, it's a little late to see the wildflowers for which the lake is known, and it's too early to enjoy its cross-country skiing splendor. But keep Trillium Lake in mind as the temperatures drop and the snow falls in the Mount Hood area this winter. 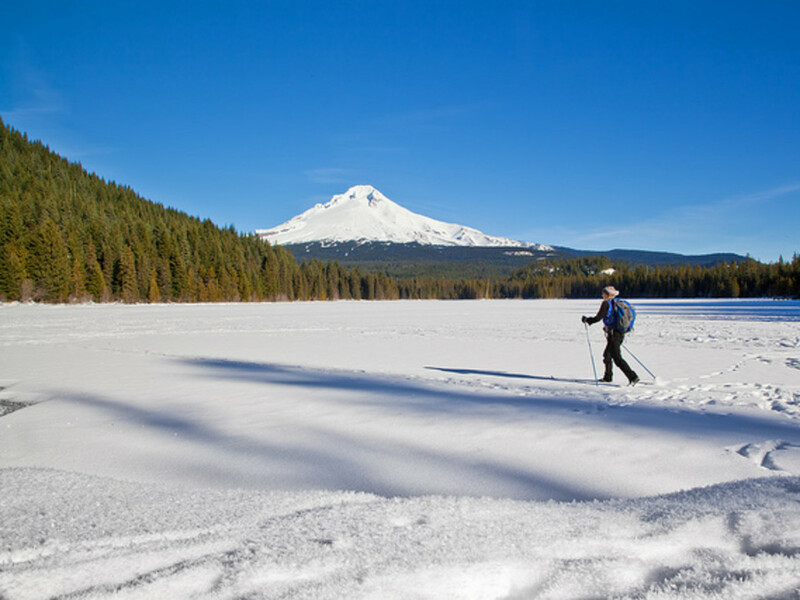 The five-mile loop surrounding the lake offers up-close views of Oregon's highest peak without much elevation gain, making it a fun cross-country skiing or snowshoeing destination. And if you time it right, you may see the lake frozen over; with Mount Hood in the background and snow-capped evergreen trees lining the lake, it's a truly magical winter landscape. _ Don't Miss: _Calamity Jane's Hamburger Parlour is a popular stop for skiers and snowboarders coming back from Mount Hood, and for good reason: The old-fashioned restaurant hosts a roaring fireplace and serves more than 30 types of burgers big enough to satisfy even the most voracious appetite. The basic burgers don't disappoint, but a range of esoteric toppings (like the Hot Fudge and Marshmallow Burger, or the Pineapple Upside Down Burger, adorned with mozzarella cheese, hot pineapple, and sour cream) ensure that no two visits are ever the same. _ Why We Love It: _ Paradise Park is a year-round treasure, with beautiful summertime wildflower displays giving way to snow-covered mountain views every winter. The hike provides one of the best chances to enjoy close-up views of Mount Hood, but the alpine meadows are enthralling all year long. 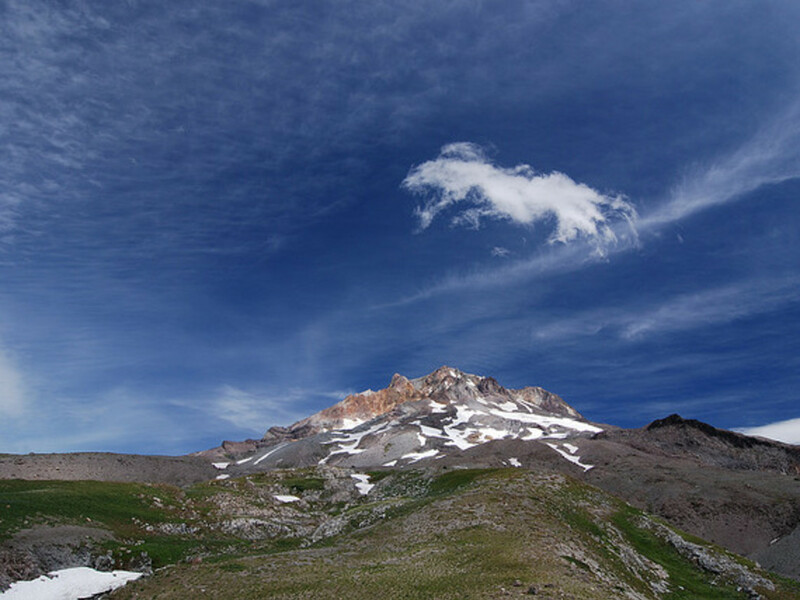 _ Don't Miss: _You parked at Timberline Lodge, so you might as well visit the impressive tourist attraction, which was built in the late 1930s as a Works Progress Administration project during the Great Depression. Three fireplaces in the lobby keep skiers and visitors warm, and numerous dining areas cater to hungry visitors. 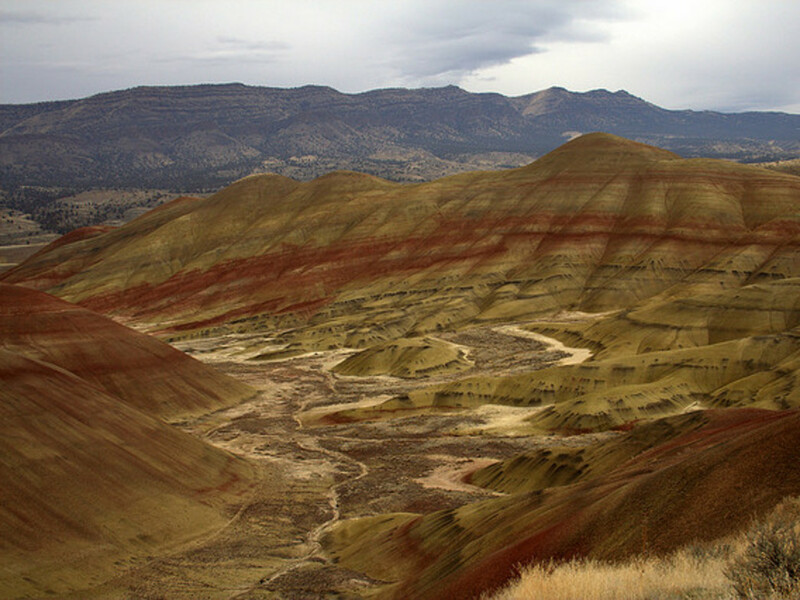 Why We Love It: An adventure guide to Highway 26 in Oregon would be incomplete without mentioning the Painted Hills Unit of the John Day Fossil Beds National Monument. 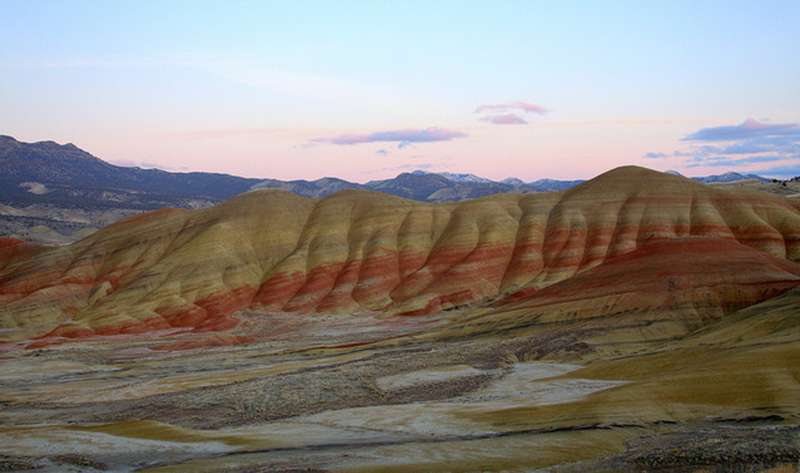 Bathed in layers of bright reds and rich yellows, the Painted Hills look positively Photoshopped from afar. But a number of easy trails take visitors into the heart of the region and offer unprecedented looks at millions of years of natural history. _ Don't Miss: _You'll head through central Oregon on your way home, so why not stop by one of the region's acclaimed breweries? Wild Ride Brewing is among the most accessible, and it offers roughly 15 delicious beers on tap. The brewery earns bonus points for the food carts in its parking lot, copious outdoor seating (kept warm by a fireplace), and an inviting interior complete with regional decor and TVs.